Truth from the podium? White House Press Secretary says “Goal is to Destabilize Syria” – Daniel McAdams joins us to discuss an inadvertently revealed policy goal. 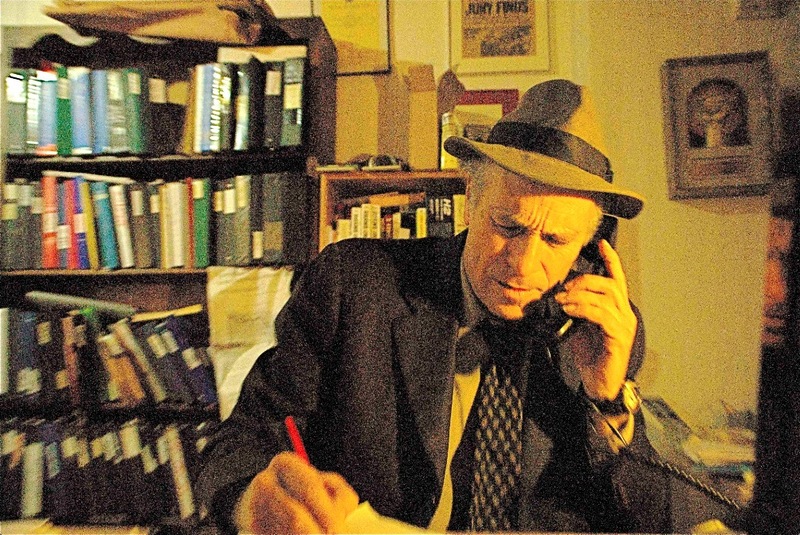 Greg Palast has been called the “most important investigative reporter of our time – up there with Woodward and Bernstein” (The Guardian). Palast has broken front-page stories for BBC Television Newsnight, The Guardian, Nation Magazine and now Rolling Stone Magazine. He recently released his new movie: The Best Democracy Money Can Buy: A Tale of Billionaires & Ballot Bandits and the sequel of his New York Times bestselling book with the same title. He is the author of the New York Times bestsellers Billionaires & Ballot Bandits, Armed Madhouse , The Best Democracy Money Can Buy and the highly acclaimed Vultures’ Picnic, named Book of the Year 2012 on BBC Newsnight Review. Daniel McAdams is executive director of the Ron Paul Institute for Peace and Prosperity. He served as the foreign affairs, civil liberties, and defense policy advisor to U.S. Congressman Ron Paul, MD (R-Texas) from 2001 until Dr. Paul’s retirement at the end of 2012. From 1993-1999 he worked as a journalist based in Budapest, Hungary, and traveled through the former communist bloc as a human rights monitor and election observer. Quote: “Spicer is saying the truth inadvertently. U.S. policy has been to destabilize Syria since at least 2011.” McAdams noted WikiLeaks documents which show the U.S. seeking to destabilize Syria in 2006. This entry was posted in Democrat Corruption, Donald Trump, GOP Corruption, Greg Palast, Hypocrisy, Politics, Syria, Uncategorized and tagged Donald Trump, Drain the swamp, Koch Brothers, News, Politics, Syria, Truth. Larry C. Johnson is CEO and co-founder of BERG Associates, LLC, an international business-consulting firm with expertise combating terrorism and investigating money laundering. Mr. Johnson works with US military commands in scripting terrorism exercises, briefs on terrorist trends, and conducts undercover investigations on product counterfeiting, smuggling and money laundering. Mr. Johnson, who worked previously with the Central Intelligence Agency and U.S. State Department’s Office of Counter Terrorism, is a recognized expert in the fields of terrorism, aviation security, crisis and risk management. Mr. Johnson has analyzed terrorist incidents for a variety of media including the Jim Lehrer News Hour, National Public Radio, ABC’s Nightline, NBC’s Today Show, the New York Times, CNN, Fox News, and the BBC. Mr. Johnson has authored several articles for publications, including Security Management Magazine, the New York Times, and The Los Angeles Times. He has lectured on terrorism and aviation security around the world, including the Center for Research and Strategic Studies at the Ecole Polytechnique in Paris, France. He represented the U.S. Government at the July 1996 OSCE Terrorism Conference in Vienna, Austria. This entry was posted in CIA, Donald Trump, Muslim Ban, Obama, Uncategorized and tagged CIA, Donald Trump, Muslim Ban, Obama. Roy Eidelson on the psychology of the Trump administration and Gareth Porter on the White Helmets. Gareth Porter (@GarethPorter) is an independent investigative journalist and historian writing on US national security policy. His latest book, Manufactured Crisis: The Untold Story of the Iran Nuclear Scare, was published in February 2014. Historian Andrew Bacevich called his latest book, ‘Perils of Dominance: Imbalance of Power and the Road to War’, published by University of California Press in 2005, “without a doubt, the most important contribution to the history of U.S. national security policy to appear in the past decade.” He has taught Southeast Asian politics and international studies at American University, City College of New York and the Johns Hopkins School of Advanced International Studies. This entry was posted in al-Shabab, Arab Spring, Arab World, Armed Forces, Donald Trump, Syria, The Constitution, The New Middle East, Uncategorized and tagged Donald Trump, Islam, Islamic State, White Helmets.